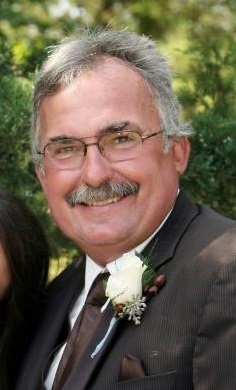 Randal Edmund Koll, age 60 of Belle Plaine, passed away peacefully at home, surrounded by his wife and family, on Wednesday, February 6, 2019. Celebrations of Randy’s life will begin Sunday, February 10 with a visitation at Kolden Funeral Home in Belle Plaine from 4-8pm and will conclude with a rosary and prayer service. Visitation will continue on Monday at the church one hour prior to Mass. Mass of Christian Burial will be 11am at Our Lady of the Prairie Catholic Church in Belle Plaine. Interment will be in Oakwood Cemetery, Belle Plaine, followed by a luncheon and fellowship back at church. Randy was born on September 8, 1958 to Edmund and Florence (Gewerth) Koll in Sleepy Eye, MN. He was raised on a farm in Morgan, MN with four older sisters. His childhood stories were riddled with life lessons from helping with farm chores, enjoying large family gatherings, and attending St. Michael’s Catholic school. Randy was active in Arts and Athletics throughout his high school years. He married his high school sweetheart, Mary Jean Stokesbary on June 23, 1979. They started their life together in Richfield and Blaine where they volunteered as Youth Ministers before moving to a farm near Belle Plaine where together they raised four daughters. The family enjoyed strong bonds with caring neighbors. Randy made a point of putting family first and had a talent for going with the flow. Randy worked as a journeyman union electrician with IBEW Local 292 for 38 years ending his career with the Muska men at Muska Electric. Randy and Mary raised livestock, crops and a vineyard. The family showed animals at the Scott County and State Fairs with 4-H and FFA 17 years in a row. Randy served in various leadership roles on the Scott County and State Pork Producers Associations, Minnesota Pork Board and Scott County Farm Bureau. Randy spent many hours coaching the girls in basketball and softball, including Belle Plaine’s first competitive summer league fast-pitch softball team. He enjoyed games of Sequence, chess and cribbage with every generation of the family. He was blessed with beautiful grandchildren who adored him and they became the light of his eyes. He always had a strong faith and had a beautiful baritone voice. Over the years, he sang in the men’s quartet and barbershop and the church choir, taught 8th grade CCD, helping his students to discern their Confirmation vows and became a 4th degree knight with the Knights of Columbus. Randy lived with pancreatic cancer the last 18 months of his life and was an advocate of embracing each and every moment. The motto he took into his final days was “Never give up. Never give in. Always believe in the power within. The power within is a gift from my Lord.” Many thanks to our Prayer Warriors on this journey. Randy is survived by his wife, Mary Koll; daughters, Jessica (Luke) Stuewe, Carissa (Andrew) Hazelton, Andrea (Owen) Usher, and Terassa (Curtis) Raddatz; grandchildren, Emmett and Ethan Stuewe, William and Baby Hazelton (due in April), Tia and Alliyah Usher, Austin and Alexandra Raddatz; sisters, JoAnn Ehrler, Gwen (Jan) Law, Deb (Chuck) Okins, and Renee (Don) Kodet; in-laws, Arlyn (Sandy) Stokesbary, Henry Ripka, Ron (Janet) Stokesbary, Curtis (Kathy) Stokesbary, and Jody (Ron) Winter; and many nieces, nephews, aunts, uncles, and cousins. He is preceded in death by his parents, Edmund and Florence (Gewerth) Koll; in-laws, Marvin and Kay (Cole) Stokesbary; brother-in-law, Marv Ehrler; and sister-in-law, Marilyn (Stokesbary) Ripka.